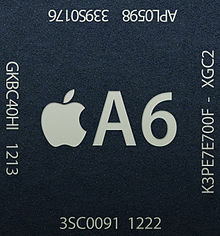 Apple has their A-series SOC (system-on-a-chip) parts. AMD is touting its APUs. Intel is beefing up their graphical offering with their Haswell-series next year. All of this points to a future where formerly-separate parts of a computing device are consolidated into a single chip. Now I am, by no means, a system designer or some kind of engineering so I speak only from the expertise of others and also with rampant speculation. However, I am excited about the future where the components we choose become simpler and simpler because they are required to do more and more of the heavy lifting. A future where the surface of a motherboard is not pockmarked on every little corner with yet another little chip doing some minute little task. A future where chips are not lauded just for how fast they might be able to crunch numbers, but the other tasks that that single chip is able to perform so ably. What overall manufacturer for the CPU? What socket or slot does it need? What chipsets are available for that socket or slot? What wattage is the CPU? Does this chipset/board combo support this wattage? What power requirements for the system are there? Does the power supply meet the requirements? Now how does that power supply hold up? You get the idea. I haven’t even begun to purchase anything yet. Now Intel is the worst offender, but it seems that every new chip architecture brings a new socket or chipset requirement but AMD is almost as bad (and maybe more confusing with AM2, AM2+, AM3, etc.). However, combining things brings it all down a little bit. Instead of wondering what graphics card you need to purchase, you have it on-die with the rest of the CPU. This brings down the total wattage of the system. This makes choices of other components easier (or nonexistent). This means less chips and pieces on the main system board so that less stuff can fail. There will always be a place for discreet components for those who really want/need to mix-and-match stuff for the best outcome in their situation, but in most cases less = more for consumers.